The list of health challenges facing Blacks includes diabetes, high blood pressure, high cholesterol, obesity, higher risks for some cancers and now researchers have found that being Black and poor can also lead to Alzheimer’s disease. Four different studies found that conditions and stressors such as a parent’s divorce, loss of a sibling, poverty or extensive unemployment can have severe consequences for brain health later on in African Americans. University of Wisconsin researchers found in their study that stress literally takes years off a person’s life in terms of brain function—an average of four years for Blacks, compared with one and a half years for Whites, according to news reports. “The findings do indicate that more should be done to support people from disadvantaged communities that are more likely to experience stressful life events. As we improve our understanding of risk factors for dementia, it is increasingly important to establish the role that stress and stressful life events play,” said Alzheimer’s Society director of research Doug Brown. Khalillah Ali, a nurse practitioner serving poor Blacks in the Dallas-Fort Worth area, is not surprised. “We suffer from every illness at a higher rate. Stress, poor diet, oppression and lack of access to adequate health are our main problems. We still live on a slave diet and the soul food we take pride in eating,” she told The Final Call. “The heavy metal toxicity in aluminum can also contribute to Alzheimer’s and we eat out of metal cans, drink sodas out of metal cans, beer out of metal cans and cook out of cheap aluminum pans. We’re toxic and lack the necessary nutrients to age properly,” she added. 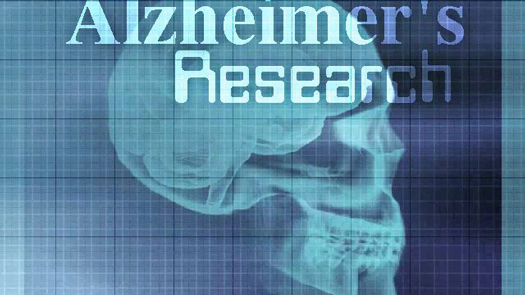 Previously researchers thought Blacks were at higher risk for Alzheimer’s due to, among other things, higher rates of obesity, diabetes, hypertension and cardiovascular disease. This new research shows that social factors like racism and poverty also play a role. The study by Dr. Amy J. Kind, who is also a researcher at the University of Wisconsin, wanted to see if there was a relationship between living in poverty and a greater prevalence of dementia. Her research team used the Census and American Community Survey data to map more than 34 million neighborhoods— blocks of 1,500 to 3000 people—based on socioeconomic data to arrive at an Area Deprivation Index. They found that the most disadvantaged neighborhoods had disproportionately higher levels of an Alzheimer’s biomarker. “This linkage between neighborhood disadvantage and Alzheimer’s has never been explored until our work,” Dr. Kind told reporters. Mrs. Ali sees the delays in her practice. “Black people in many ways just live on the fringe of life. Many have checked out mentally because they cannot deal with the rigors of poverty and racism. They need medical care and delay until something is nearly falling off. Getting old is just something that happens and losing memory and the other signs of Alzheimer’s are just what is supposed to happen,” she said.